Am I alone in thinking that it would be nice if everyone used the Internet to share accurate information? Unfortunately, I receive all too many emails that sound really good until I take the time to check them out on snopes.com, truthorfiction.com or urbanlegends.com. The latest one that caught my attention was a message that quotes a December 1979 article entitled “Asparagus for Cancer” that was printed in the Cancer News Journal. The article cites several cases of sick people that supposedly rebounded to recovery by eating lots of asparagus. The entire article can be viewed on the truthorfiction.com website. While it has been determined that statements made in the article are undocumented, asparagus does have a lot of nutritional value. Including it in your diet cannot hurt. 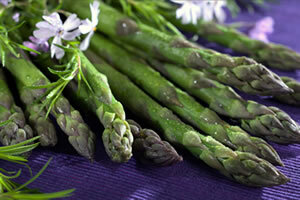 The Michigan Asparagus Advisory Board says asparagus is one of the most nutritionally balanced vegetables known to man. It is near the top of the list for produce items that supply a wide variety of nutrients. There are many ways to prepare asparagus. It is quite tasty raw as well as cooked. You can steam it or roast it. Include it in omelets. Make it into a soup. Recipetips.com and lovetoknow.com offer some very tasty recipes to try. Diana recently posted..Recognize the Cervical Cancer Now!